FREE Ryanair flights – €10 off discount voucher reward! 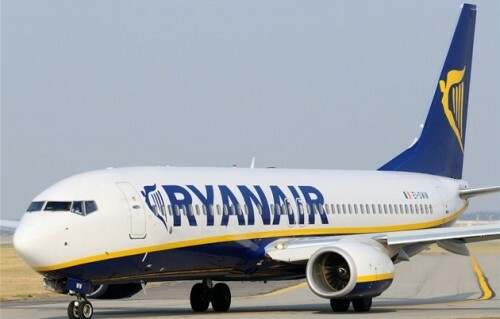 Ryanair today launched amazing promotion that can allow you to fly for FREE! You can now get very easily €10 or £10 discount voucher as a reward for registering with Ryanair. It is very simple, just go to Ryanair.com and click on Sign up to create account with myRyanair. You need to fill in your name, date of birth, phone number, add travel document and payment card. After filling these details, you will automatically get free €10 / £10 reward voucher that can be used to book any flight! The reward discount voucher must be used before 21st September 2016 and you can book flights from 1st October until end of January 2017 with exception of Christmas. Full conditions are available here. This discount technically allows you to travel for FREE because Ryanair offers many flights for only €9.99. Or you can just use to make your flight cheaper! The offer works on all flights in all countries! Fly cheaper with RushFlights and Ryanair! « Cheap flights to Sri Lanka: Colombo from UK for only £292 / €346!